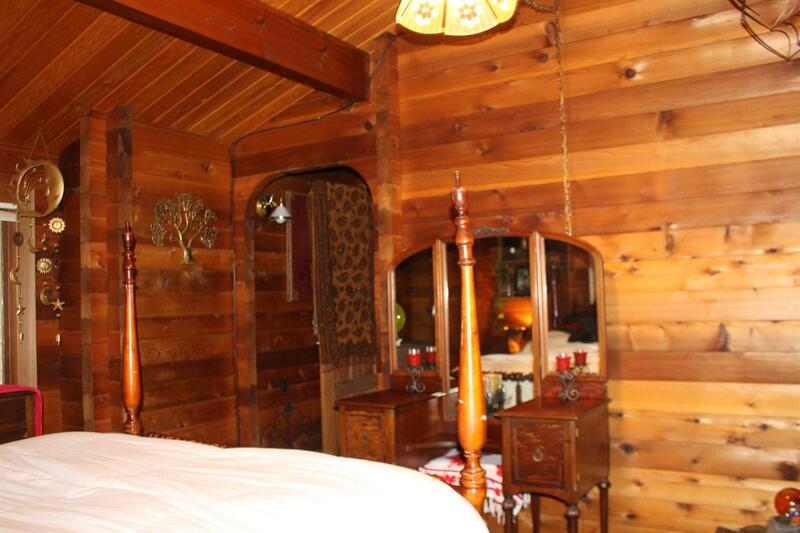 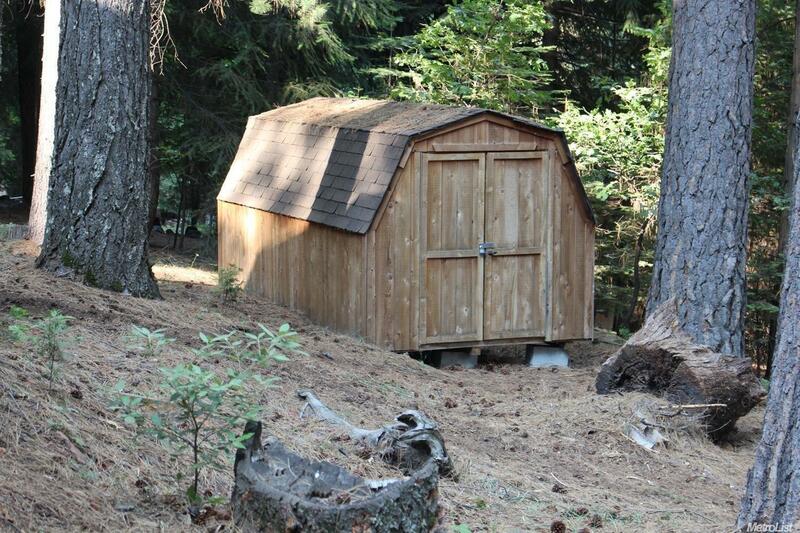 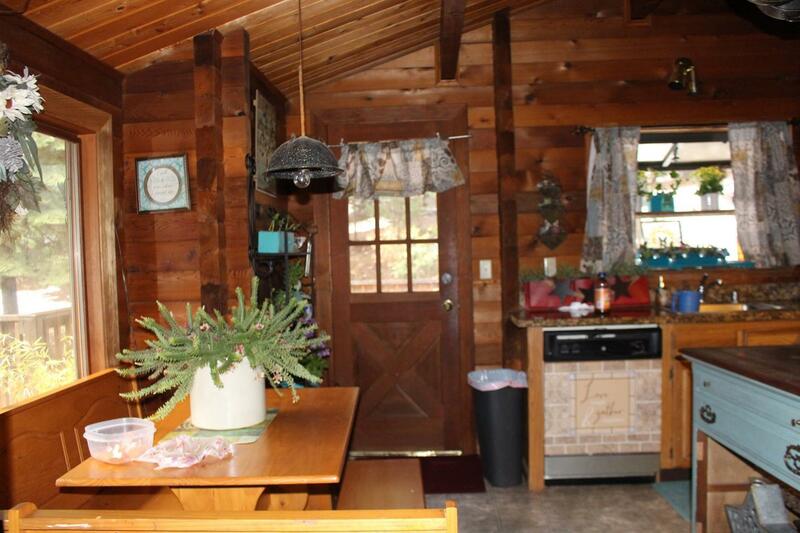 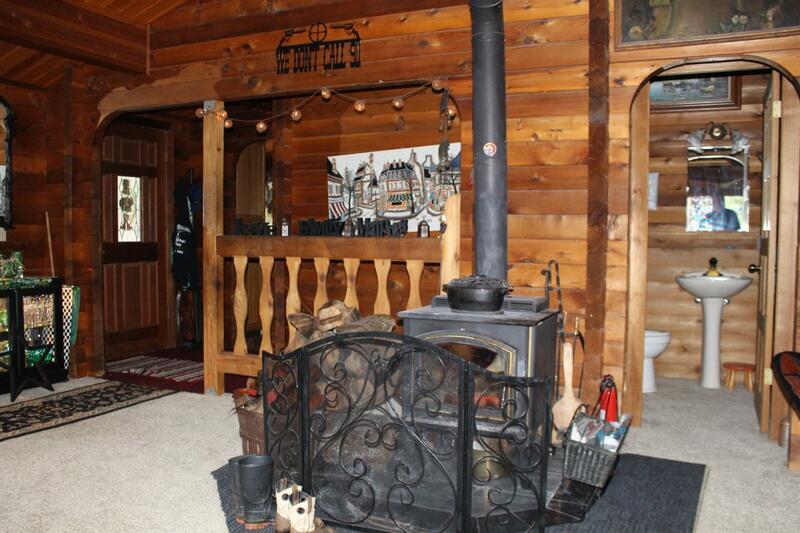 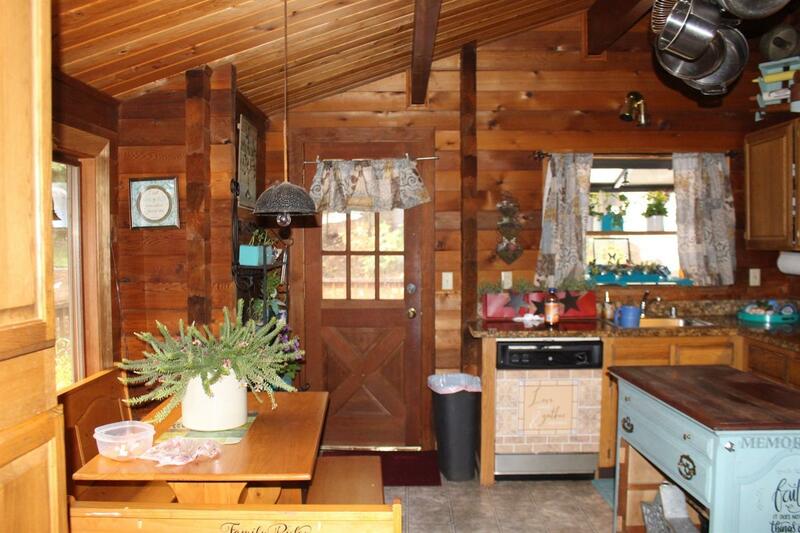 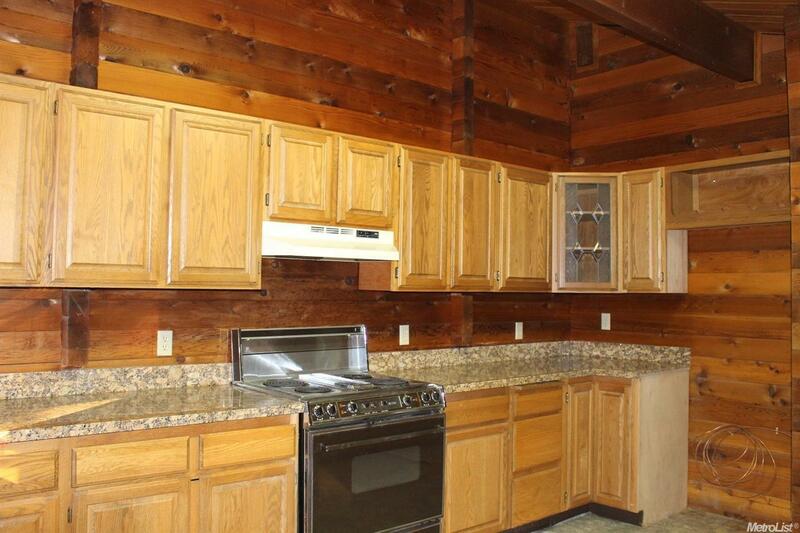 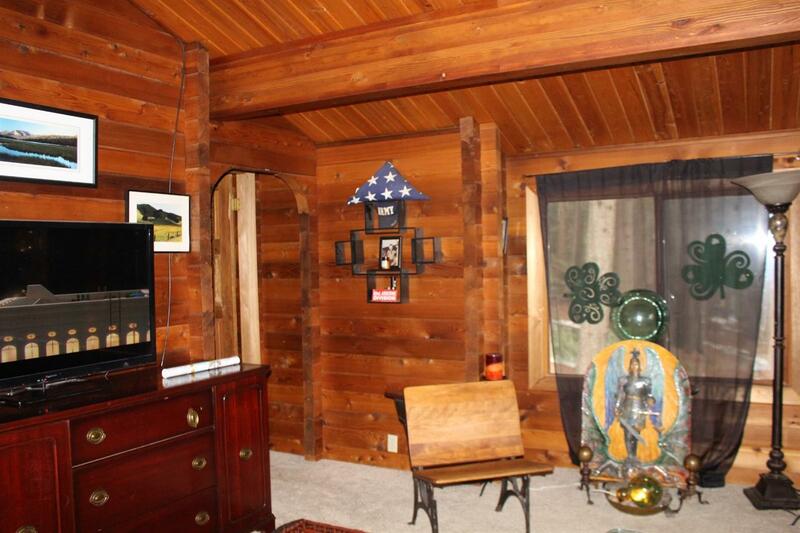 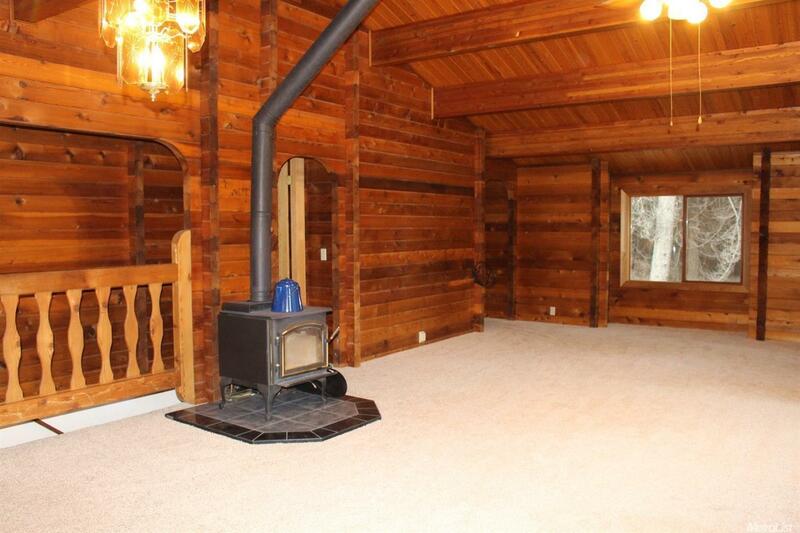 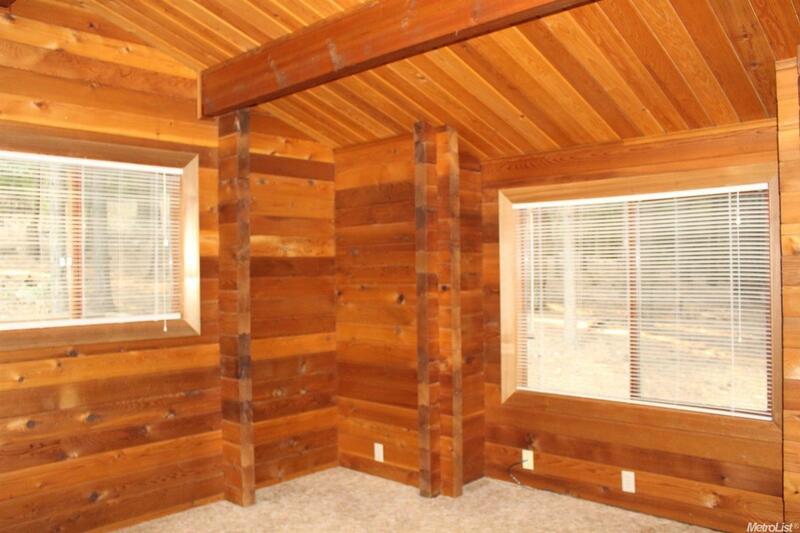 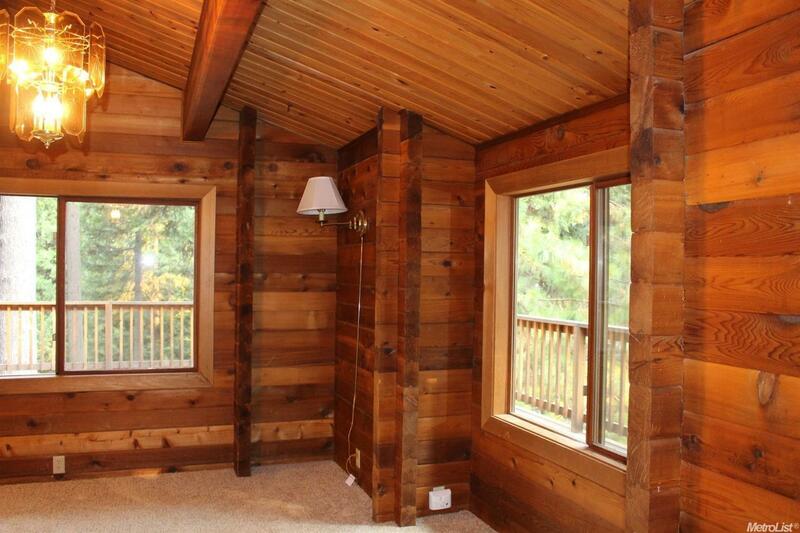 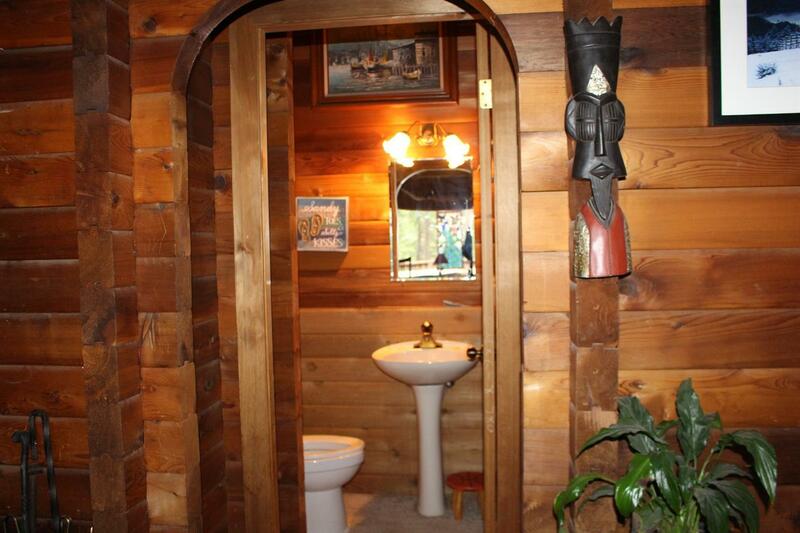 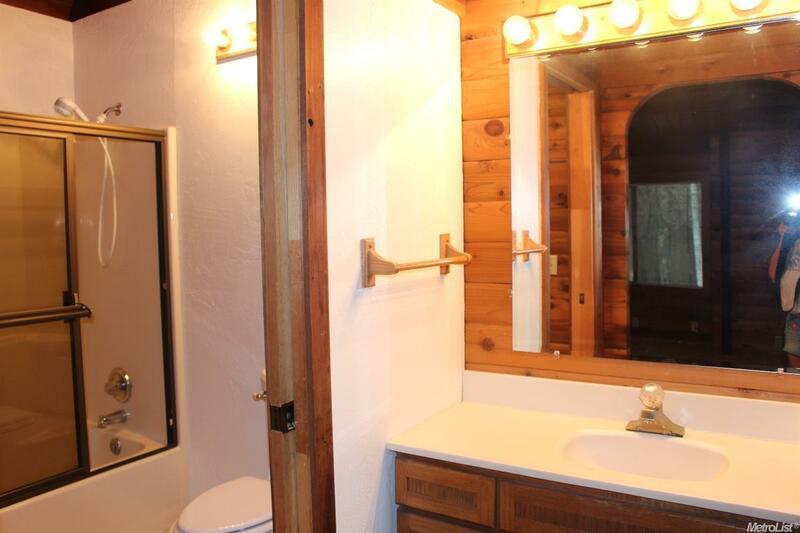 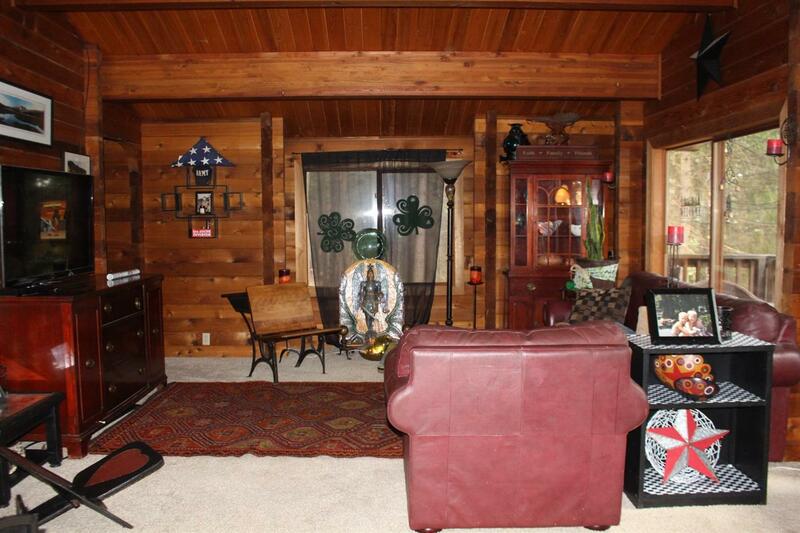 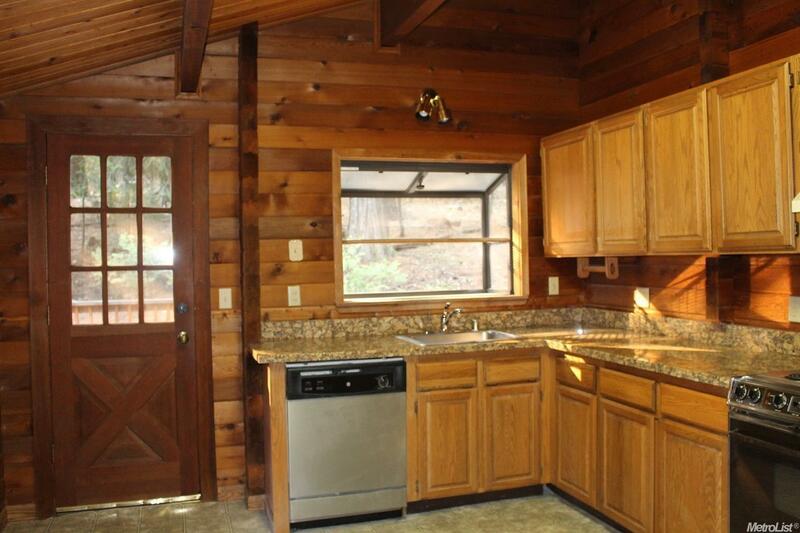 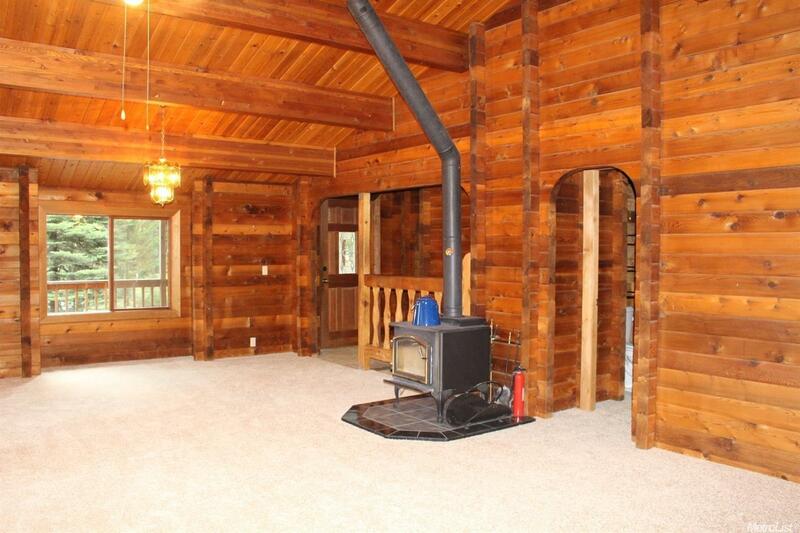 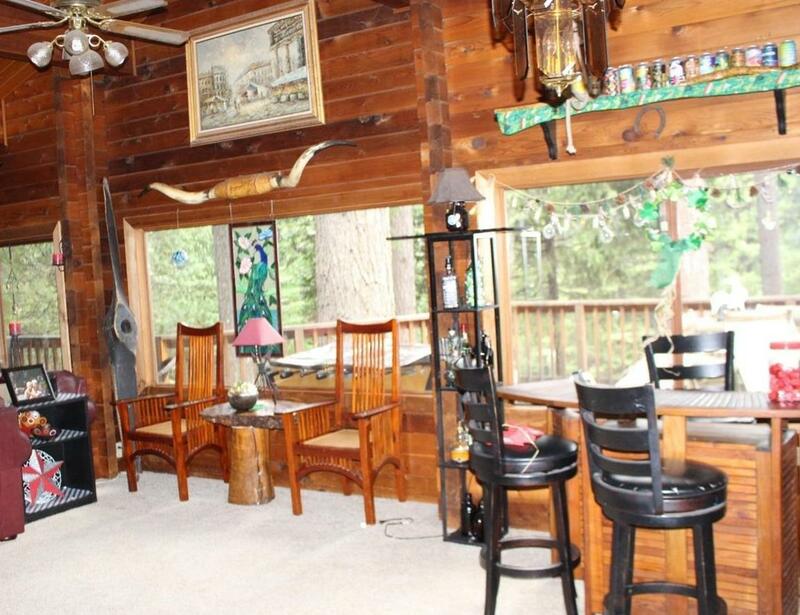 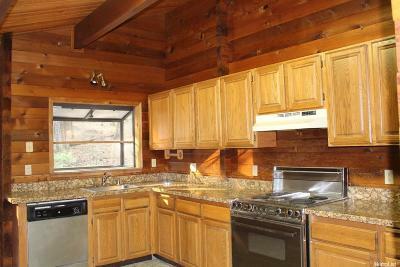 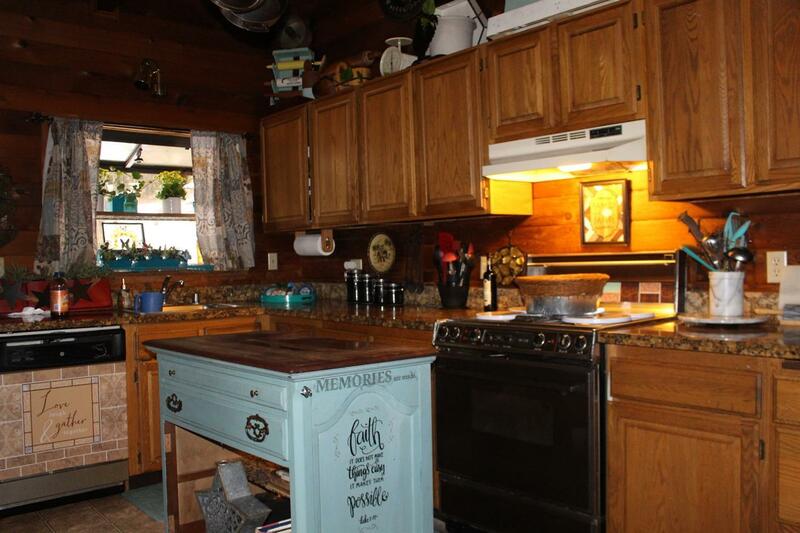 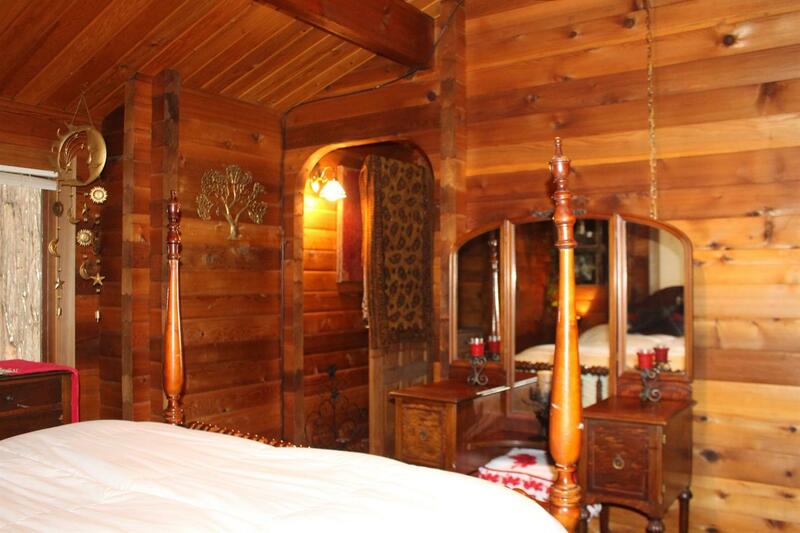 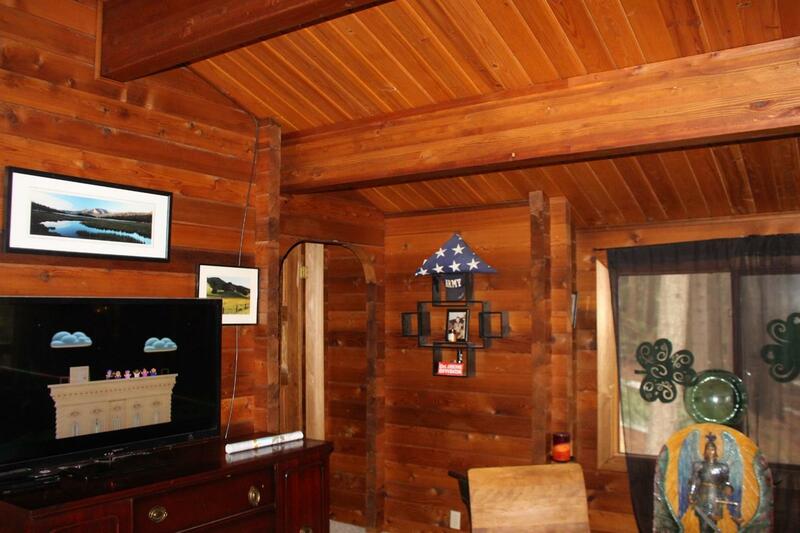 Spacious Pan Abode Cedar Log cabin home in the woods. 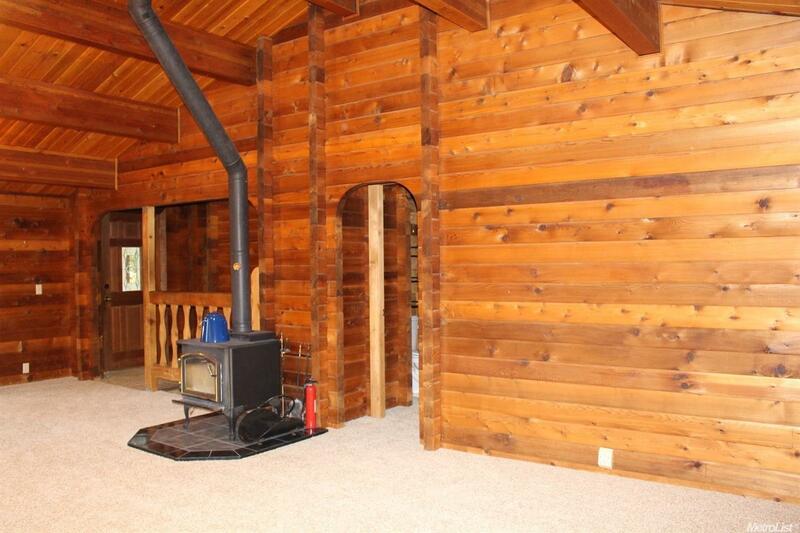 The upstairs features the master bedroom, kitchen with granite countertops, dining and living room, all with wood walls and sloped wood ceilings. 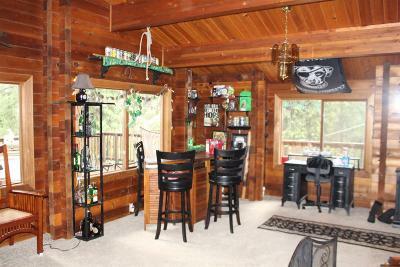 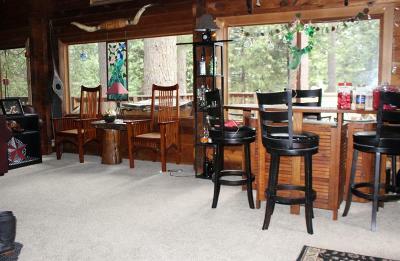 Downstairs, you will find the family room, with it's own outside doors. 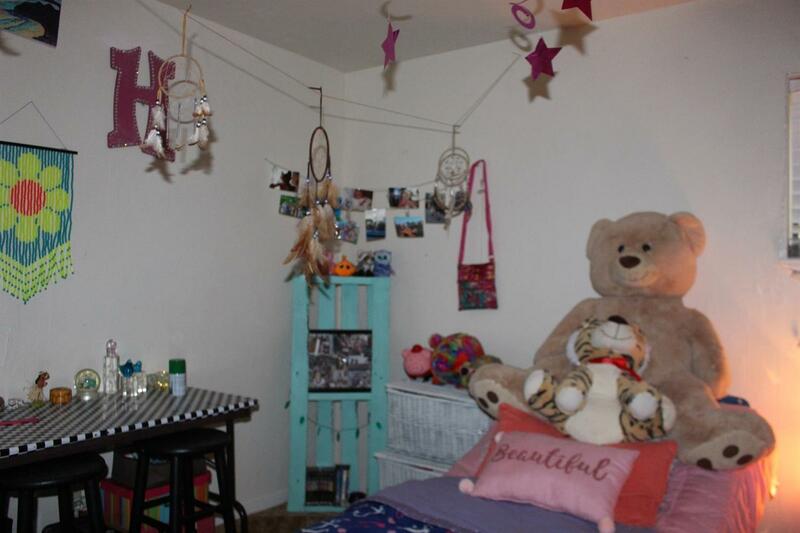 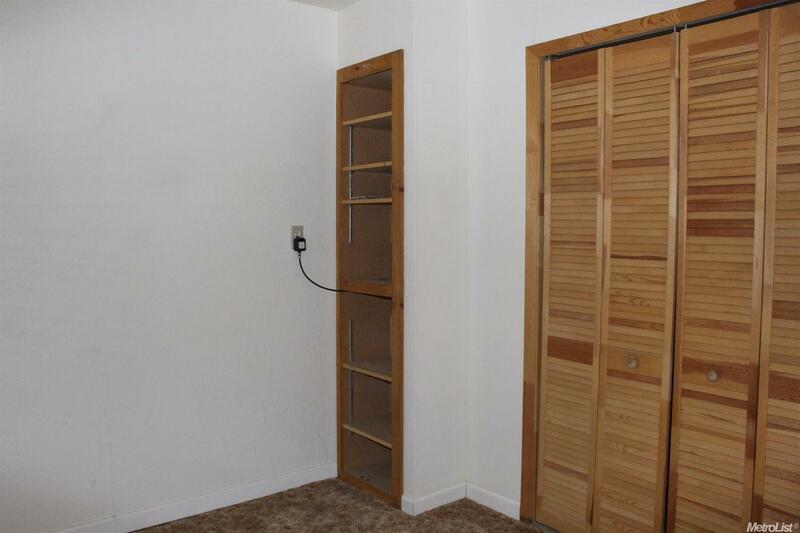 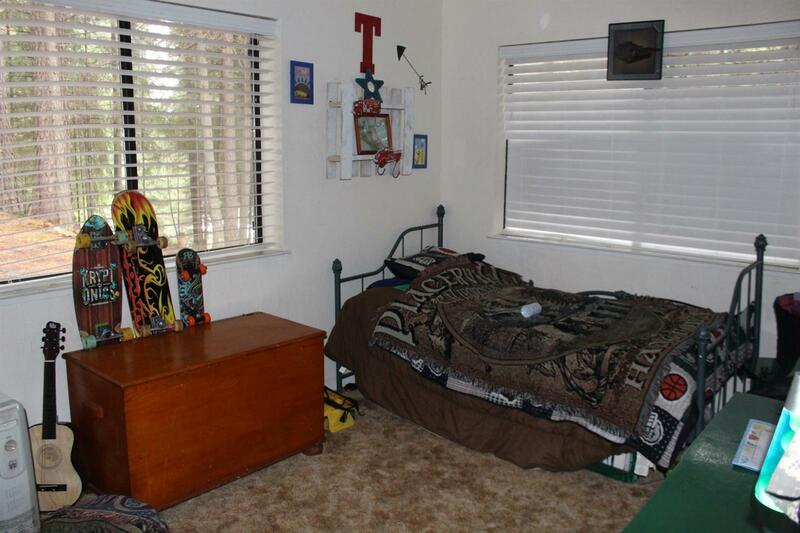 Also downstiars is another bedroom, bathroom and potential for a 3rd bedroom. 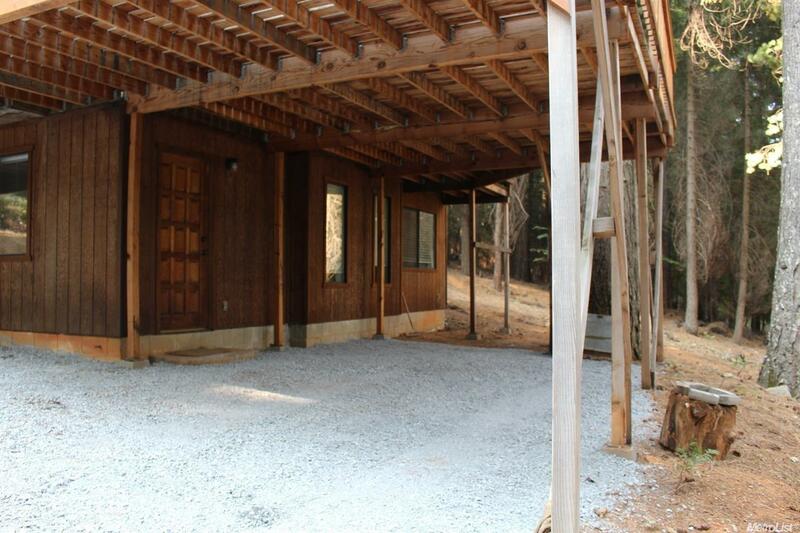 The wrap around deck adds to the mountain feel of this home. 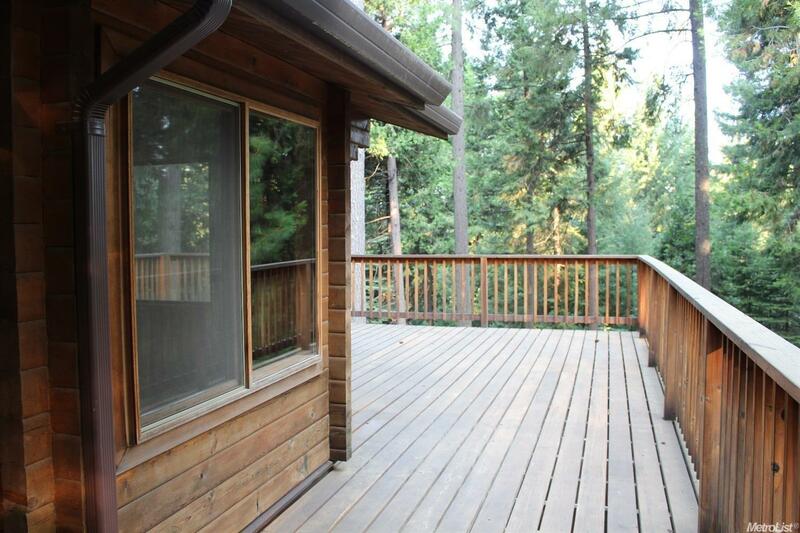 Lots of wildlife to enjoy while sitting on the deck and taking in the fresh country air. 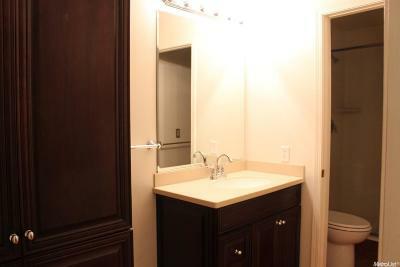 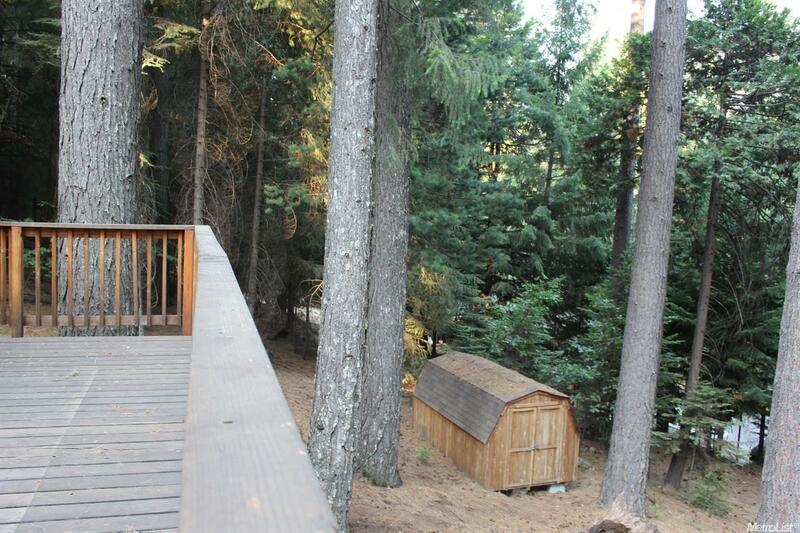 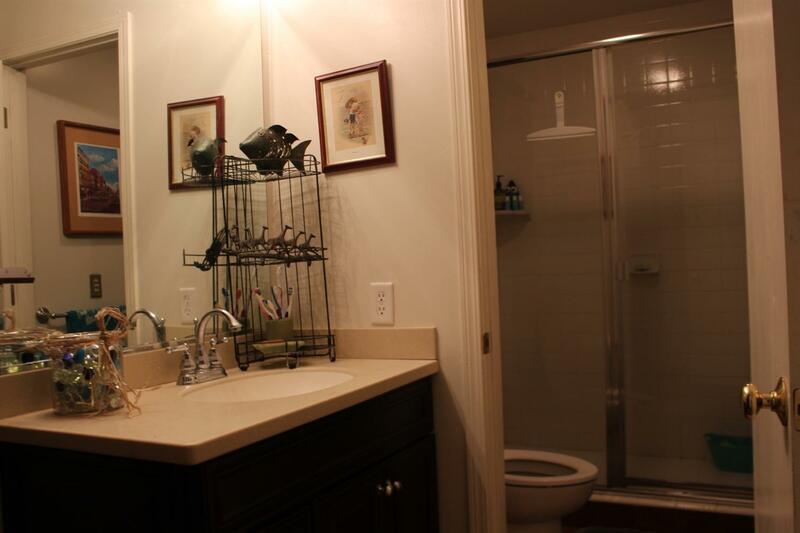 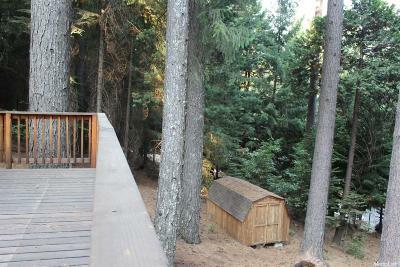 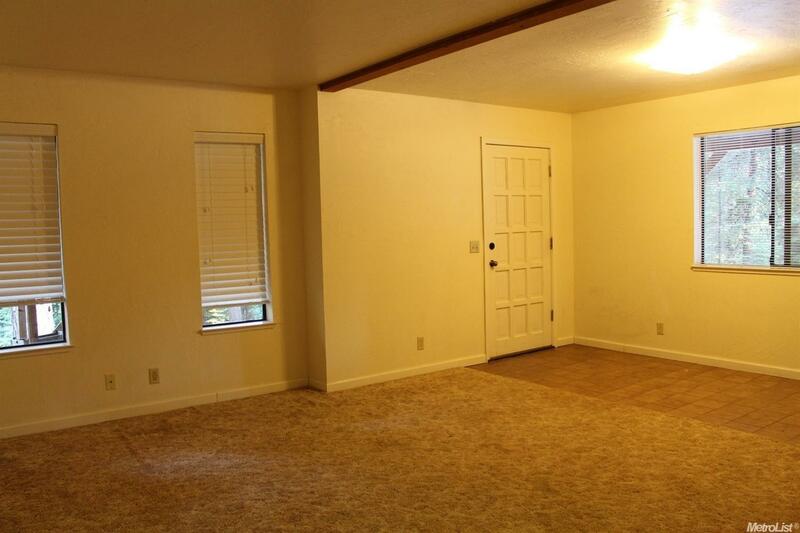 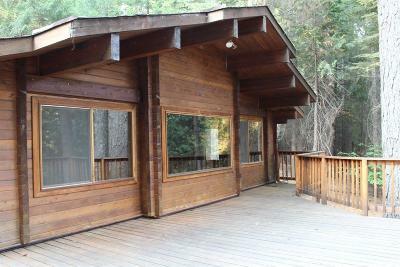 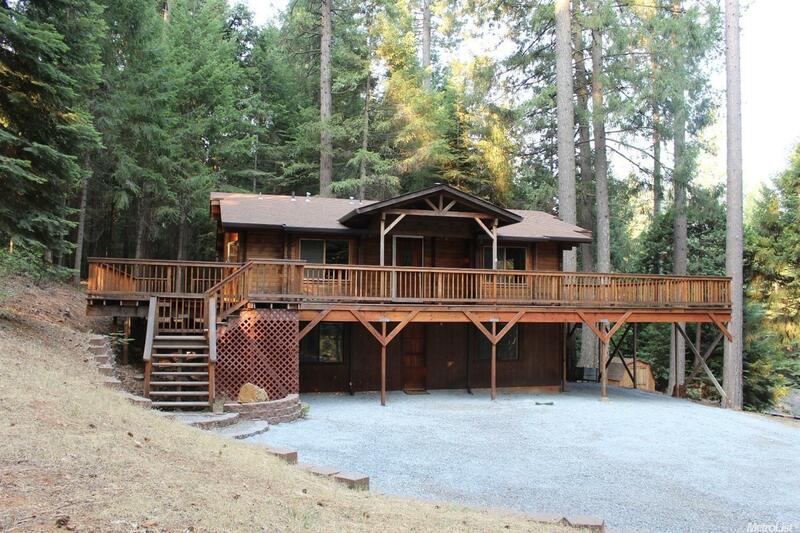 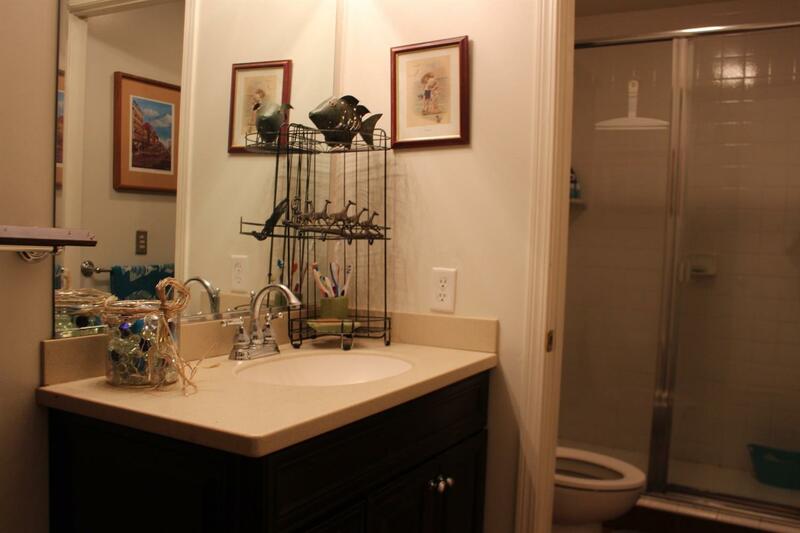 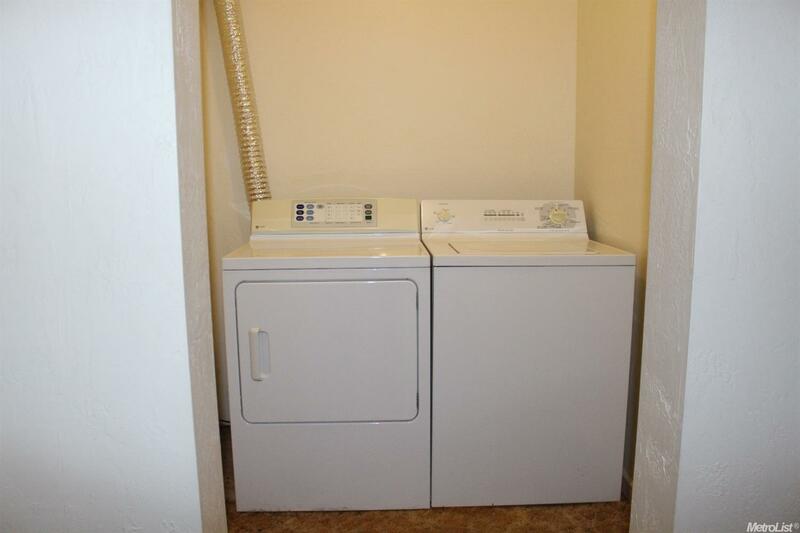 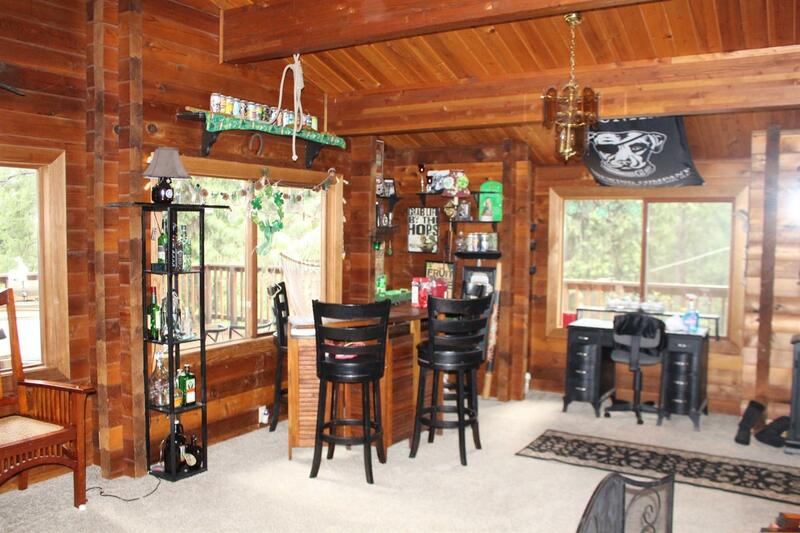 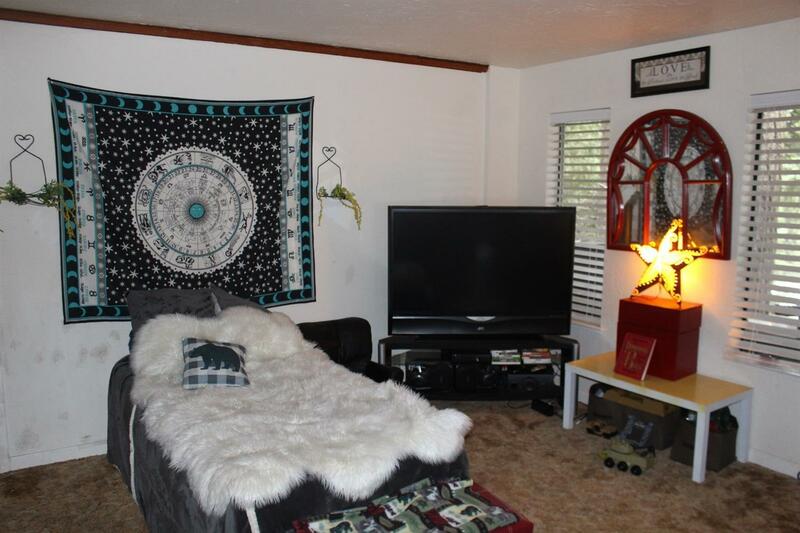 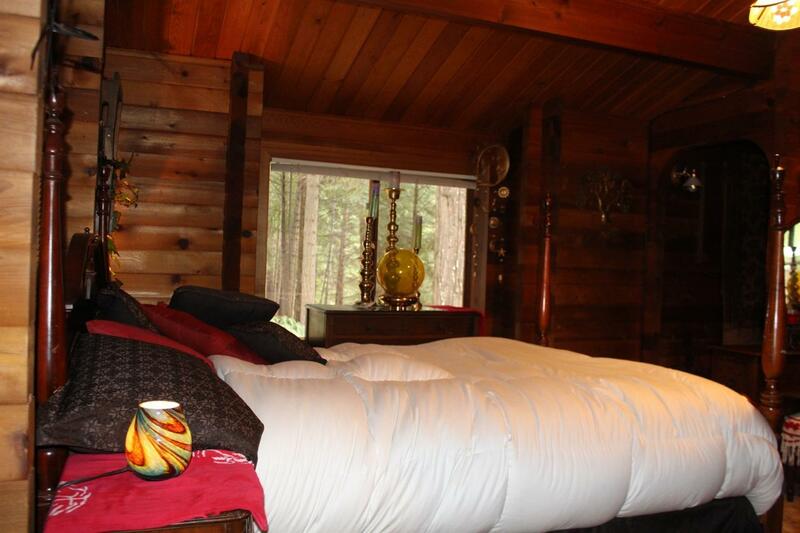 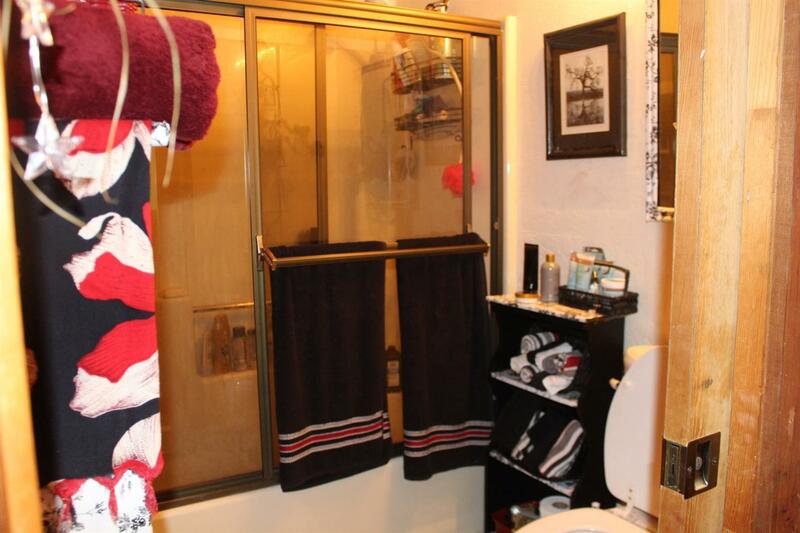 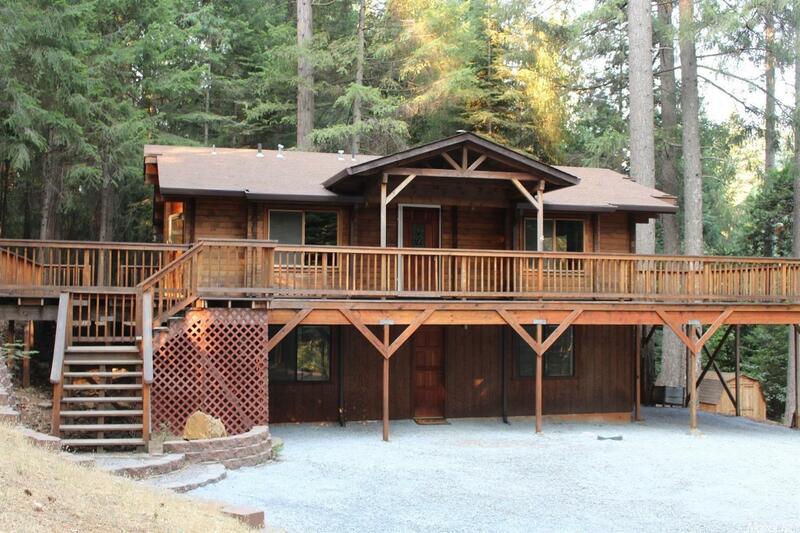 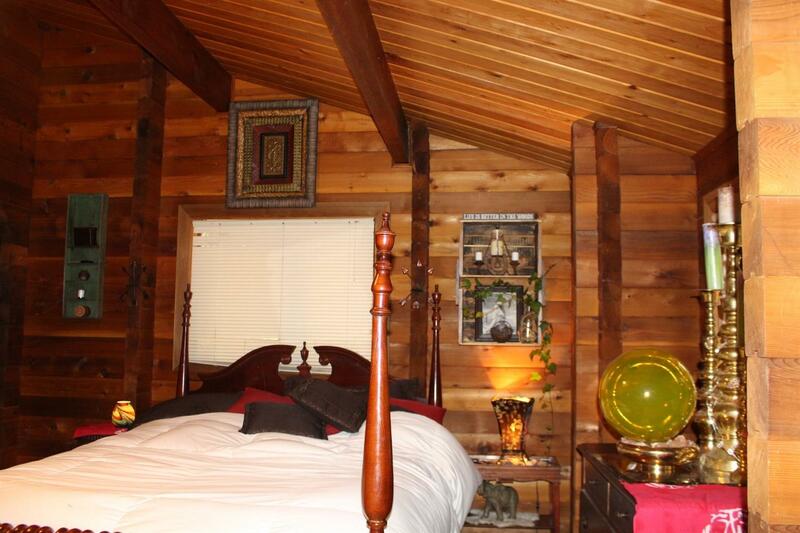 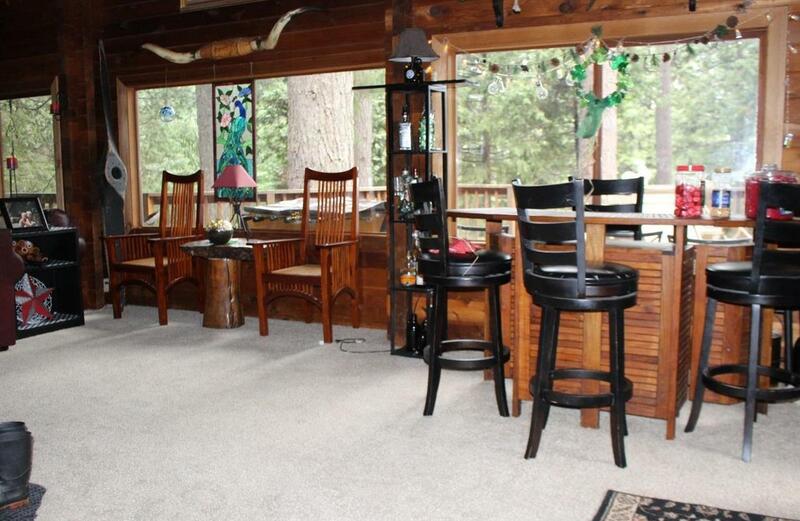 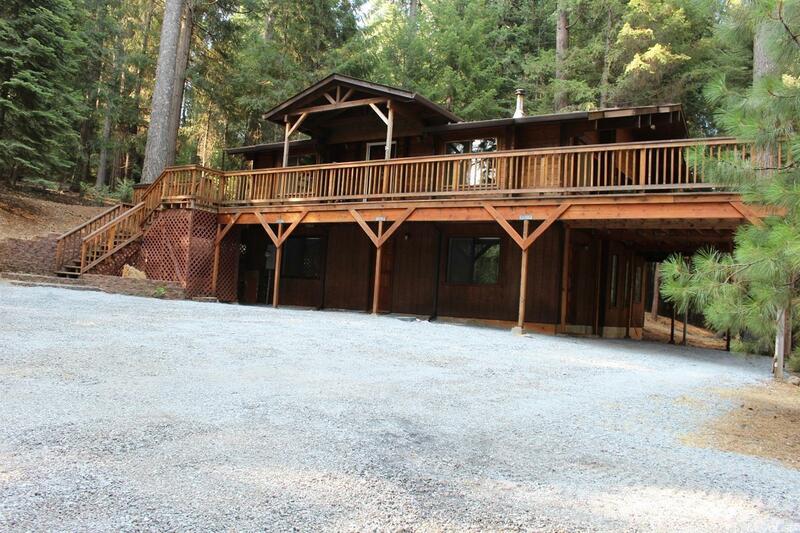 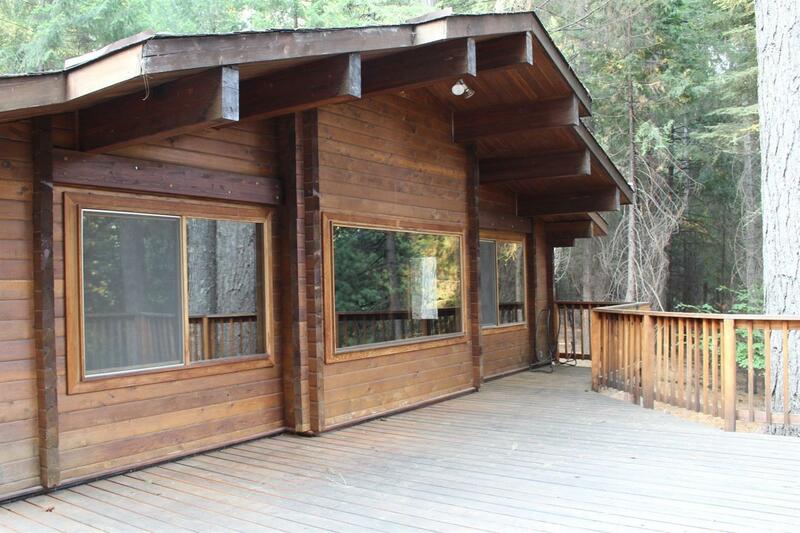 Close to Forebay Lake, and just a few minutes into town for shopping and restaurants.